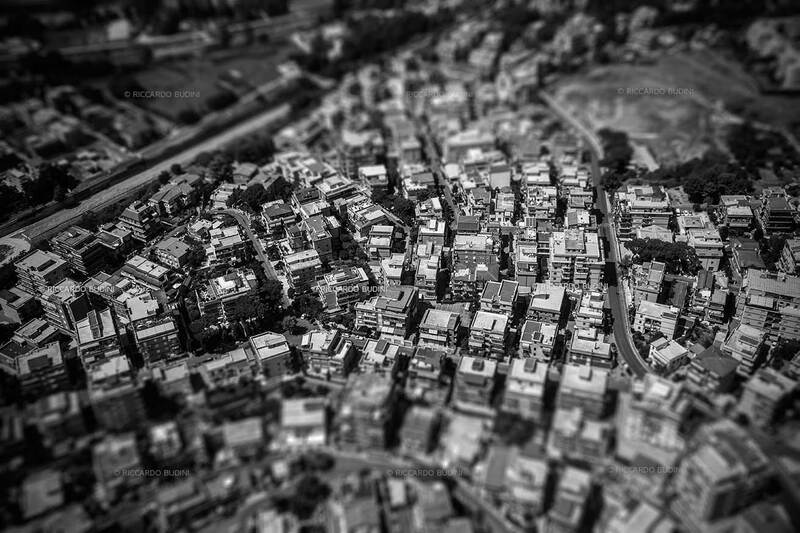 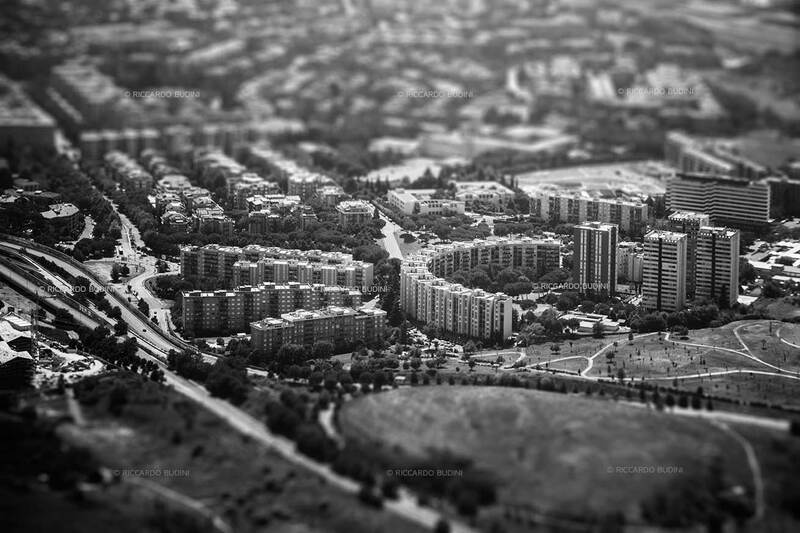 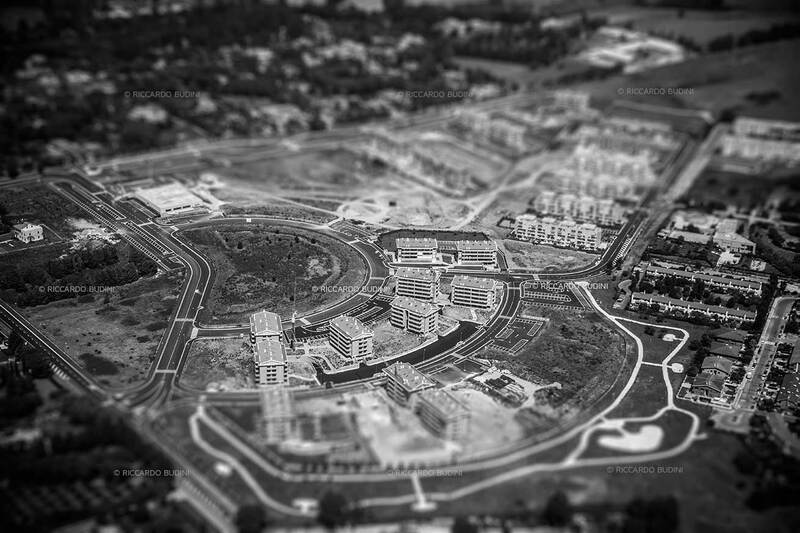 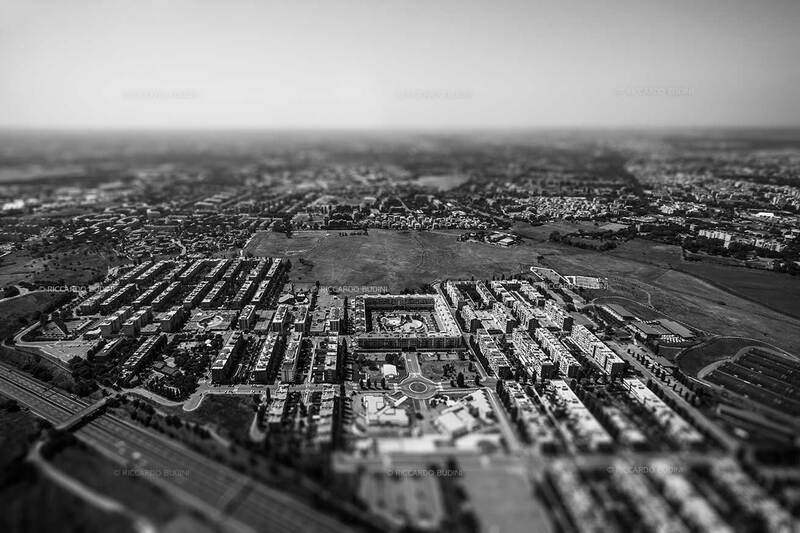 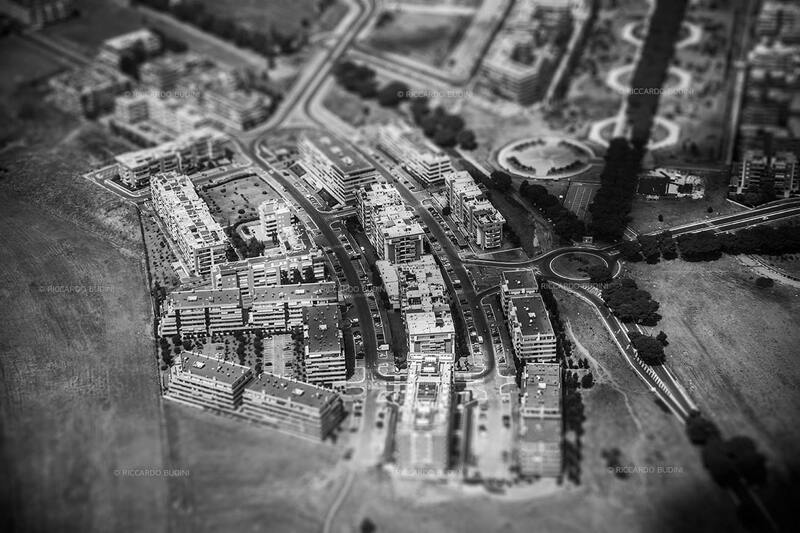 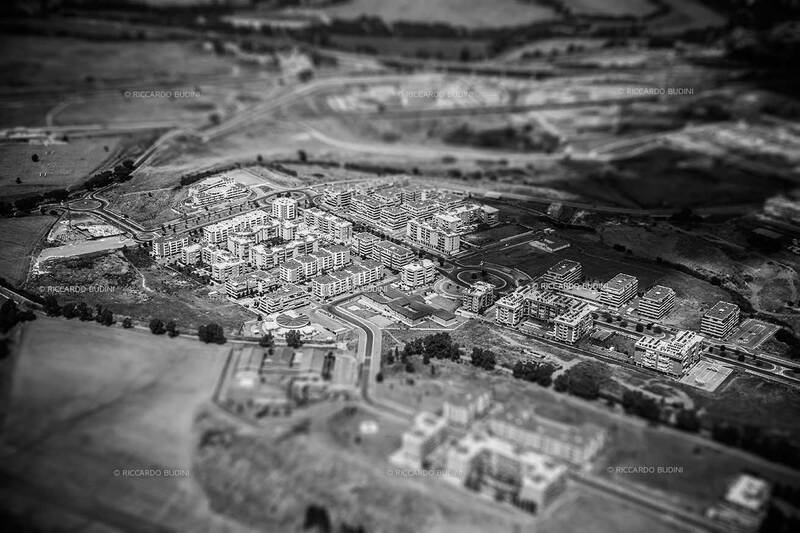 A series of aerial photographs of the fast growing suburbs of the metropolitan city of Rome. 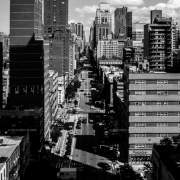 The urban expansion of the metropolis saw no stop since the post-World war I. 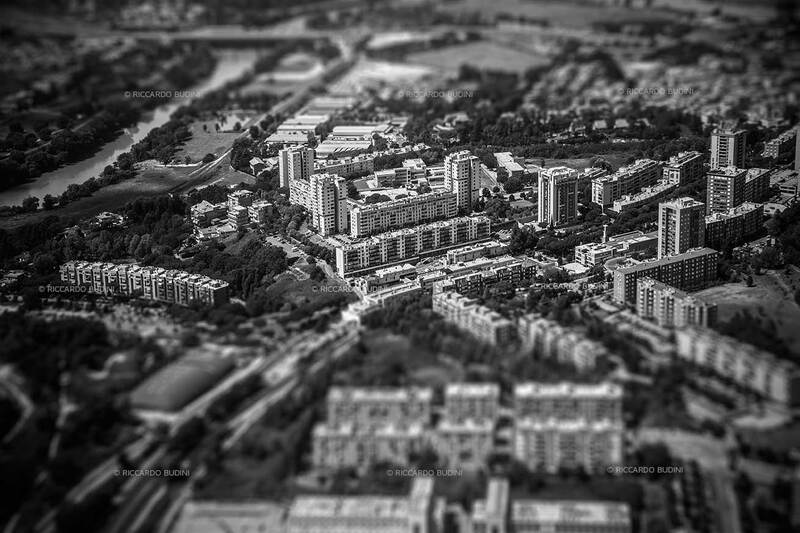 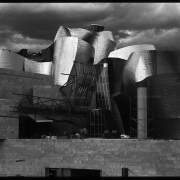 Mostly residential, the new development includes now also commercial and recreational complexes to suit new ways of leisure. 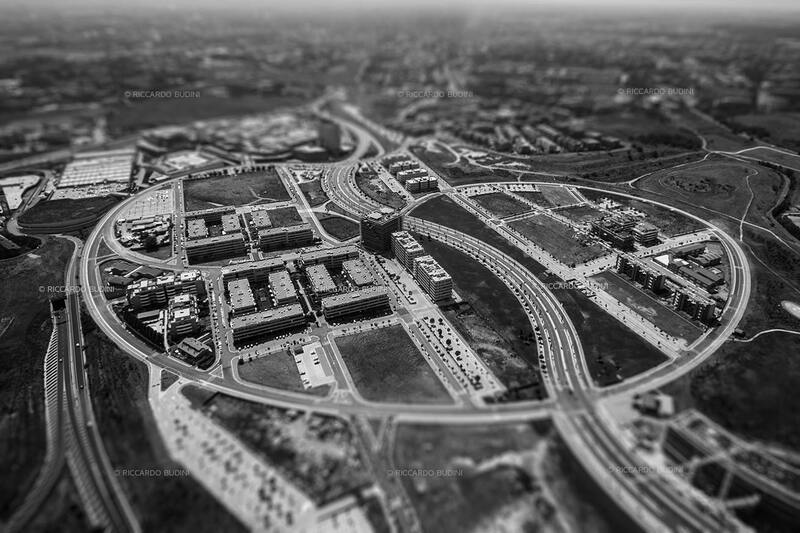 Most peripheral industrial and rural areas coexist with denser built areas unevenly, continuously forming a conurbation expanding in the four directions.